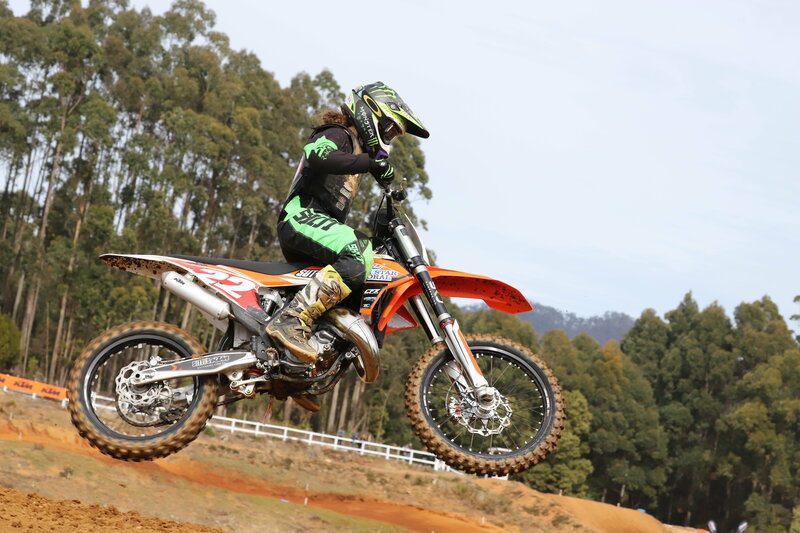 Racing has kicked off properly here at day three of the KTM Australian Junior Motocross Championship (AJMX) at Penguin, Tasmania. Many classes battled it out in their first heats and finals of the week, while the remaining classes further adapted to the track in free practice sessions. Conditions were once again excellent, but the track saw the welcome addition of some cloud cover to keep it from drying up. 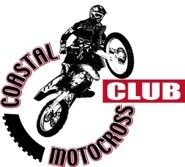 With plenty of action to come over the coming days, the Coastal Motocross Club have really crafted up a brilliant track for the juniors. Plenty of spectators and locals were on hand to check out the racing. Cobie Bourke from New Zealand stole the show in heat one of the Mini Lites Big Wheel. The victory was not easy for Bourke, as he only took victory 0.293 of a second ahead of Ryan Alexanderson (QLD) in a seven-lap shootout! The battle for third took place much further back, with Ty Kean (VIC) finishing a further 10.777 seconds further behind. Rory Fairbrother (NSW) and Ryder Kingsford (NSW) established themselves in the top five. Heat two saw Jackson Camilleri from Queensland put on a great performance, his riding looked effortless out there on track, with a fairly comfortable 3.581 second gap. His nearest challenger was Hunter Collins (NSW) who tried his best, but couldn’t quite capture the win, eventually finishing second. Brock Sleader (QLD) was pleased to finish in third, with Cambell Williams (NSW) and Jett Kipps (VIC) finishing fourth and fifth. The first final of the week burst onto the scene with the 125cc – 13 to U15 class and it delivered in spades. Alex Larwood from South Australia maintained consistency to claim a 11.549 second win ahead of Blake Hollis (NSW) and Levi Rogers (QLD), while Ricky Chalmers (NSW) and Dominic Walker (VIC) held on for fourth and fifth. Fresh off his victory yesterday, Queensland’s Jet Aslop continues to show why he will be a star of the future with another scintillating win in heat three. The battle for the lead went to the final lap with Aslop finishing 1.319 seconds ahead of his rival Kayden Minear (WA). In addition, Angus Pearce also managed to take third, only four seconds off the position in front of him. Kayd Kinsford (NSW) and Seth Shackleton (WA) rounded out the top five. Queensland rider, Jake Cannon displayed great form in heat four, charging to his win with a 2.441 second gap. Victoria’s Ty Sharp defeated New South Wales’ Byron Dennis for second, as it was Seth Burchell of NSW and Queensland’s Kobe Drew in the fourth and fifth positions. Up next was the 50cc Division and they put on quite a show with close and exciting racing between the youngsters in their first final. Benny Veale (VIC) staked his claims this weekend for a trophy with a very hard-fought victory. There was nothing in it between himself and his challenger, Aden Oakland (QLD), a measly 0.374 of a second. Ryder Creeke (NSW) also impressed in third with Jed Grey (TAS) and Peter Wolfe (QLD) completing the top five, in the four-lap skirmish. The Mini Lites Big Wheels were the last race of the day with a final and Benny Novak (NSW) reigned supreme. Novak’s performance was nothing short of a masterclass, managing to finish 8.821 seconds ahead of Reid Taylor (NSW). Bayley Clancy (NSW) lodged a third-place position ahead of Jacob Sweet (VIC) and Joe O’Donnell (NSW). The racing will continue to heat up tomorrow for day four with further heats and finals. Make sure to stay tuned for all the results over the coming days. To keep up to date with all the information in the lead up to the event head to www.ma.org.au, like Motorcycling Australia on Facebook or follow @motorcyclingaustralia on Instagram.